I can feel the warmth of the sun on my skin as I sit in my office staring at the monitor, I have come to expect it and I miss it on cloudy days. The sun grabs my attention and brings to awareness that the workday is nearing the end. Even if I had no clue of the time, the sun reminds me that it’s not only time to pack it up for the evening but more importantly, things are anew. On Wednesday June 8, my past experience served me well and left me feeling overwhelmed and uncertain about what tomorrow would bring. The father of my girls returned home after 13 years in prison. The reunion was awful for me. I prayed for a better version of his homecoming and I remained hopeful that it would be but it didn’t turn out that way. I will say I didn’t resist it when all hell broke out and although I have forgiven him for past transgressions I cannot forget who he has shown me before prison, during prison and now live and in-person. 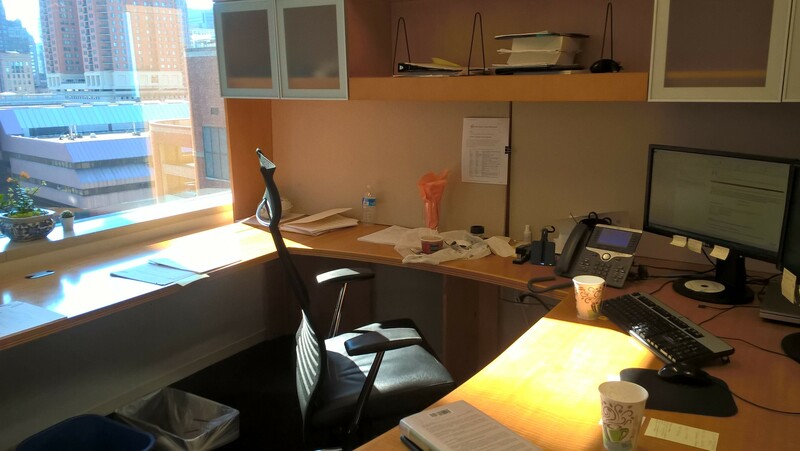 On Thursday June 9, the sun filled my office and granted me a space that soon led to forgiveness, renewal, and reflection. I let go of what happened on Wednesday in hope for the better days ahead. I have hope that we can be at peace with each other and share in the accomplishments of our girls without me feeling uneasy and him declaring war. Today I’m grateful that my knowledge of the past isn’t lost on forgetfulness. There are people who are comfortable with repeating the antiquated philosophy that to forgive is to forget and for me, that’s not true. Forgiveness has its place in memory. On Friday June 10, I am reminded that I have never had the opportunity to grow-up with my Dad, but I have learned to forgive him. Early on I forgave him for making it clear through actions that he wasn’t well enough to care for us. I can’t imagine what it would have been like to be exposed to the life that he led that included drug addiction and alcoholism. I used to hear so many excuses about how he was tricked into that lifestyle but time showed me differently. He made a tough choice to use drugs which garnered everlasting effects. This affected me as a child seeing this play out in a world that I should have been able to turn to him to support me in. Yes, I had a great support system that included men but the truth is, in all his absence I wanted and needed him more than I let on. I remember this about myself and have witnessed this in my own children that the absence parent seems to be the one that is missed the most, they’re the missing one after all. I learned early that I couldn’t save my Dad from drug addict. I learned that my prayers couldn’t erase the prison sentence of my children’s Dad. I tried tears and even then I was left with a wet face and a broken heart. Then I thought, maybe if I made-up in my mind not to ever use drugs or date people who break the law it would at least save me from people like them. That promise to myself I kept. Of course, this didn’t save me from attracting people like them, but having made this promise to myself I forgive and thank them for teaching me a lesson that only they could teach me, forgiveness. I plan to go find my Dad one day before he leaves this world behind and give him this lesson I learned, forgiveness. I would be remiss to say that I didn’t wish that he was well enough now so that we could have a tighter bond, but my truth is, that forgiveness has its place in memory and it feels a lot like the sun that warms my bear arms right before quitting time. To all the fathers out there, I wish you forgiveness if needed and the warmth of the sun on your bear arms to remind you that you can if you choose to start anew.